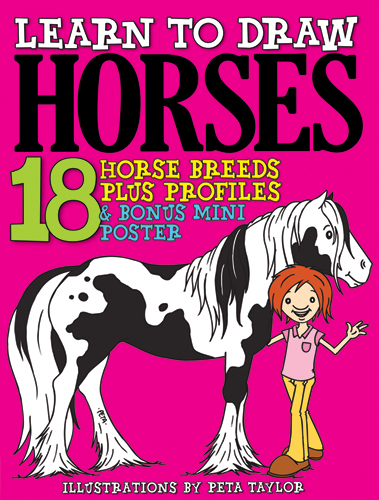 HW's Peta Taylor, along with Vicki Sach, have put together this fabulous book that provides instructions and gorgeous illustrations on how to draw 18 different breeds of horses! Covering a range of different breeds with some terrific cartooning and drawing tips for young horse lovers, you can't go past this 'value for money' all-Australian activity book for horsey fun! Email us for BULK order options for your pony club or next horsey birthday party! If mailing to an INTERNATIONAL address, please email us for postage rates before you place your order - this price will be additional.